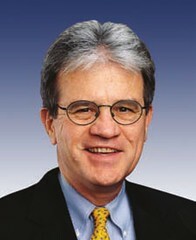 News that U.S. Sen. Tom Coburn might be ready to rejoin the infamous “Gang of Six” doesn’t mean much in the real world of the ongoing debt-ceiling crisis, but it probably does represent just how much the senator wants to reduce Medicare benefits for elderly Americans. Does Coburn, who apparently is open to some revenue increases, truly see the current crisis as a way to lower the federal debt through entitlement cuts or does he just want to end Medicare as part of a conservative, ideological fiat? The second proposition seems more likely. Coburn, as you may recall, was part of a so-called bipartisan group of six senators, who recently met on a regular basis to try to find ways to reduce the federal debt. He later announced he was going to stop meeting with the other senators. He then came out with a proposal, along with lame duck U.S. Sen. Joe Liebermann, to raise the qualifying age for Medicare from 65 to 67 and make seniors pay more of their own health care costs. I wrote about these issues here and here. Now Coburn says he might rejoin the senators if the group is serious about reducing entitlements. This indicates he wants his Medicare benefit reduction plan as part of the negotiations. Meanwhile, President Barack Obama is so far holding firm against a Republican effort to shutdown the government in a couple of weeks or so by not raising the nation’s debt ceiling. (By contrast, the debt ceiling was raised seven times under former President George W. Bush.) This GOP shutdown effort is fueled by extremist Tea Party rhetoric and a belligerent stubbornness not to raise taxes on the country’s wealthiest citizens, who have prospered disproportionately in recent years when compared to middle class Americans. If a shutdown occurs and the country cannot honor its debts, the ensuring fiscal crisis could stop Social Security and military pay checks from getting issued. It will lead to higher interest rates and stop any growth in the economy. It will cause even more massive unemployment. It’s within this desperate situation that Coburn probably sees an opportunity to start the ball rolling on a longtime Republican ambition, which is to eliminate entitlements altogether. Of course, Coburn wouldn’t phrase it in this way. But raising individual health care costs by 30 percent or more for seniors essentially sets the program on a path of self-destruction. Perhaps, the most bewildering aspect of all this is that Coburn is a medical doctor. Shouldn’t doctors want people to have more and better health care at affordable costs? Medical costs are increasing at unsustainable levels, true, but what about the role of health insurance companies in our broken system? Coburn and Obama, according to the storyline, supposedly share mutual respect for one another, but the president shouldn’t cave to Coburn’s demands even if the Gang of Six also goes along with tax increases on the wealthy. How much political power does Coburn even have within the Tea Party ranks, anyway? Obama should call the Republican’s bluff and seniors here need to show up at Coburn’s town-hall meetings banging pots and pans and tell the senator what they think about his proposal to reduce their Medicare benefits.